It was in 1970 that I first began working with drug addicted people in Kings Cross, Sydney, Australia. So, for the past 45 years, I have been working, day after day, with people affected by alcohol and other drugs, both legal and illegal. Also, along with Reverend Ted Noffs, I helped create Life Education Centres. These Centres were our first real attempt at programs designed to hopefully discourage young and other people from using substances that could potentially do them great damage physically, mentally, socially and relationship wise. In the late 1980s, along with Tony Trimmingham, I called for the decriminalization of heroin. I was also involved in the establishment of the injecting room at the Wayside Chapel. I have buried countless people both young and old from overuse or overdose of drugs, alcohol and other substances. I know from firsthand experience the tough on drugs policy has failed. In fact, in my opinion, it has actually escalated the whole problem. It has escalated it by driving it underground and by creating a system which criminalizes drug users and encourages black marketeers to continually search for stronger acting drugs which can be sold at an increasingly higher price. My take on the whole “drug and alcohol situation” after all this time is that the only way we can get on top of all of this is by treating the whole problem as a health problem rather than a legal problem. We can do this by decriminalizing drug usage and by creating an environment where a management process for the whole drug outlet system can be established. Thereby we take all illicit monies out of the system and enabling appropriate help to be offered. Rev. William David Crews was born in England in 1944 and educated in Australia. He studied Electrical Engineering at the University of NSW under a scholar ship provided by A.W.A. and then until 1971 worked with A.W.A. in microelectronic research studying the properties of silicon. During this time he built the first machine to grow ultra pure single crystal silicon in Australia. In late 1969 he first visited the Wayside Chapel in Sydney’s red-light district of Kings Cross and ultimately became involved in voluntary pr ogrammes; visiting the elderly, sick and shut-ins of the Woolloomooloo-Kings Cross area. By 1971 he had decided to quit engineering and work full time at the Wayside Chapel. 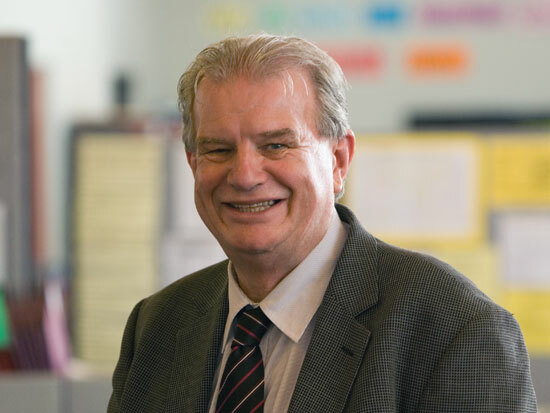 Bill was a member of the team that created the first 24-hour Crisis Centre in Australia. By 1972 he was Director of the Crisis Centre and directed all the social work pr ogrammes of the Wayside Chapel until 1983. During that time he established the first programme in Australia to reunite adoptees and birth parents (Reunion Register), and the first pr ogramme to assist parents who were at risk of abusing their children (Child Abuse Prevention Service). He also established the first moder n youth refuge in Australia. 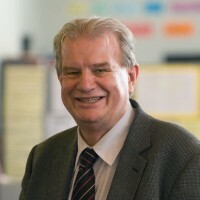 In 1973 he was made a member of the New South Wales Drug and Alcohol Authority and was intimately involved in establishing drug r ehabilitation, education and prevention programmes throughout New South Wales. In 1978 he and the Rev. Ted Noffs created the first Life Education Centre. Life Education Centres are now all over Australia, Hong Kong, Thailand, New Zealand, Engla nd and America. In 1983 he left the Wayside Chapel to study Theology at the Uniting Church’s United Theological College and graduated in 1986. In that same year he was ordained as minister of the Ashfield Uniting Church in Sydney’s inner-west. At Ashfield he created The Exodus Foundation to assist homeless and abandoned youth, and other people in need. Today The Exodus Foundation is one of Sydney’s largest frontline charities. It runs the Loaves & Fishes Free Restaurant, serving 1,000 meals to the needy every day . The Foundation also operates Tutorial Centres which teach literacy skills to childr en who have fallen through the cracks in the mainstream education system. It runs a free dental and medical clinic, provides help and support services such as social workers, chaplaincy, counselling, and food parcel assistance. Rev. Crews has been awarded The Rotary Foundation International Award ‘Paul Harris Fellow’. He has been voted Father of the Year and Humanitarian of the Year (1992). In February 1998 Rev. Crews was included in the National Trust’s 100 National Living Treasures. In 1999 Rev. Crews was awarded an Order of Australia (AM) for his services to the disadvantaged and his work with homeles s youth. As part of the Sydney 2000 Olympics, Bill ran a leg of the Olym pic Torch Relay and the Paralympic Torch Relay. He also distributed hundreds of donated tickets to those who would otherwise not have had the financial means to partake in the Olympic experience. In 2001 Bill was named Ashfield Citizen of the Y ear for his contribution to the local community. He received the William R. Tresise Fellowship Award from the Australian Lions Foundation in June 2001 – the highest honour the Foundation bestows for humanitarian se rvices. In 2001 Rev. Crews also received an Alumni Award from the University of New South Wales. Bill actively supports multi-faith dialogue and understanding b etween cultures. He meets regularly with the Dalai Lama and supports the Free Tibet movement in Australia. Rev. Crews appeared as a guest judge alongside his Holiness Dalai Lama on Network T en’s Masterchef programme in 2010. Rev. Crews is a Patron of Australians For Just Refugee Pr ogrammes, and Chairman of Fair Go Australia – an anti-racism project sponsored by the NSW Gover nment through the Department of Community Relations Commission. Since August 2002 Rev. Crews has broadcast his Sunday Night Crews radio programme on Sydney station 2GB-873AM. The programme is the highest rating Sunday night radio show in the na tion, with an audience share of 17.8% and 102,000 listeners. In 2006 Bill was awarded the Ernst & Young Social Entrepreneur of the Year Award in recognition of his world-class leadership and innovation in social programs. In 2007 Rev. Crews was named as one of Australia’s 100 most influential people by the prestigious Bulletin & Newsweek magazine. Rev. Crews campaigns tirelessly for poker machine reform, his passion for the issue being driven by the work he has done with gambling addicts whose lives have been shattered by the effects of gambling. In 2011 he was appointed chair of the NSW division of the Australian Churches Gambling Taskforce.